We are not just the newest motel in the Waitomo District but possibly the best! We are located on State Highway 3, at the North end of Te Kuiti opposite Bosco Cafe. Stay with us and we promise you won't be disappointed! 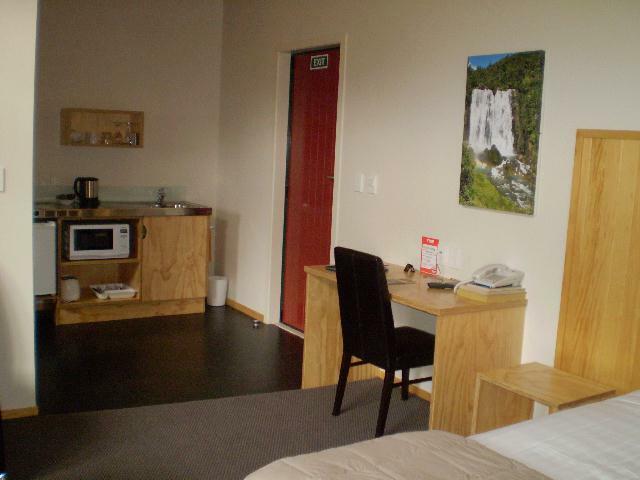 Waitomo Lodge has 14 studio units and 6 one-bedroom units. For more information and pricing for each type of unit choose from the menu at left. Daily housekeeping is included in the room rate. Continental and cooked breakfasts are available at an extra cost. Cooked breakfasts are delivered between 7am and 8.30am. Breakfast orders number be handed in to reception no later than 6.00pm the night before.